I meant to post this before but there's still a chance to try some Fairtrade wines at a discount before Fairtrade Fortnight ends this Sunday. The best place to go is the Co-op which not only has the widest range but has knocked 20% off across the board on all Fairtrade goods including bananas, chocolate, tea and coffee*. I've been critical of Fairtrade wines in the past (see my Guardian column last year) but they do seem to have improved, especially the reds. This year I recommended the exuberant, fruity Co-operative Fairtrade 2011 Bonarda Shiraz (down to £4.99) from the La Riojana co-operative in Argentina, a great wine to serve with a robust pasta sauce or a Friday night pizza, the smooth, lush Fairtrade Carmenère (also £4.99) from Chile which, odd though it might sound, is a good wine to serve with a meaty curry like a rogan josh and the rich, full-bodied Fairtrade Gran Reserva Malbec 2011 (down to £6.39 from £7.99), again from Argentina, which would be ideal for a Sunday roast or a steak. In fact it would actually benefit from laying down for a year or so if you've room to stash a few away. I'm slightly less grabbed by the whites but if you're in search of a light inexpensive chardonnay the Fairtrade Chardonnay from South Africa (£5.99) is perfectly decent and the Torrontes/Chardonnay from Argentina which blends Chardonnay with the indigenous Torrontes grape (£4.99) has an appealing floral twist that would make it a good match for light Asian dishes like stir-fries and salads. 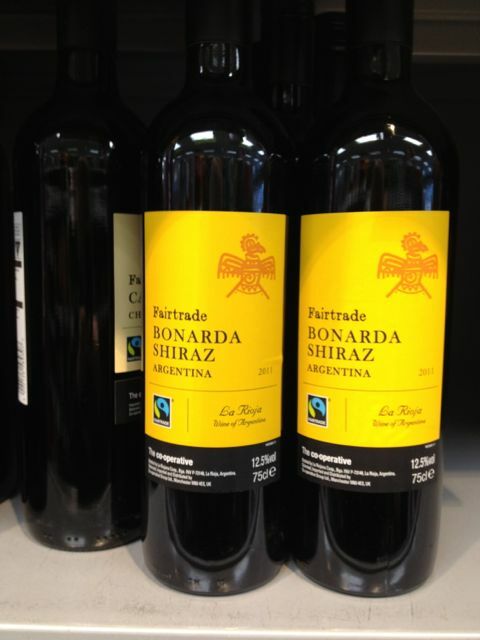 If you've not tried Fairtrade wines before give them a try. * Actually I've discovered that some of the Co-op offers carry on till March 20th so you've got another week to take advantage of the discounted prices.